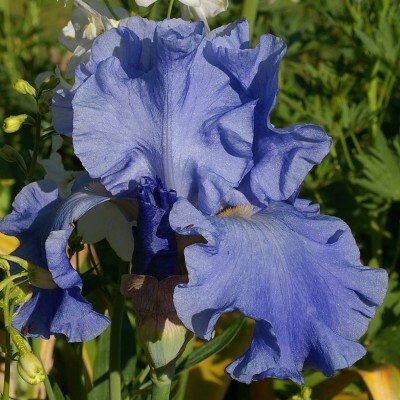 We crossed "Ouragan" and "Yaquina Blue" to obtain this wonderful pure blue, between sky blue and mid-blue. It has huge, strudy round flowers moderately waved. 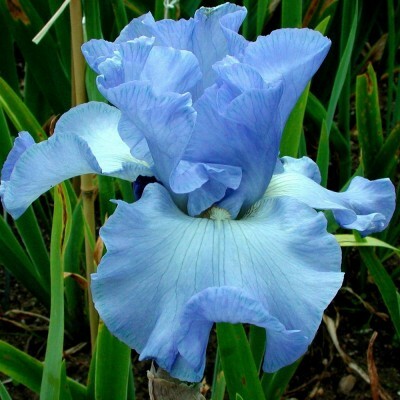 Named best blue variety at the 2005 International Iris Competition at Florence. 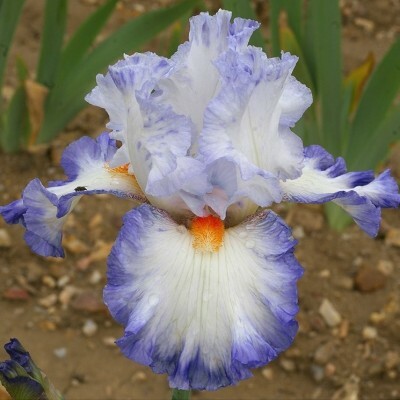 A large, very pure medium blue with very discreet yellow beards. Strongly borne flowers with quite round, well waved falls. 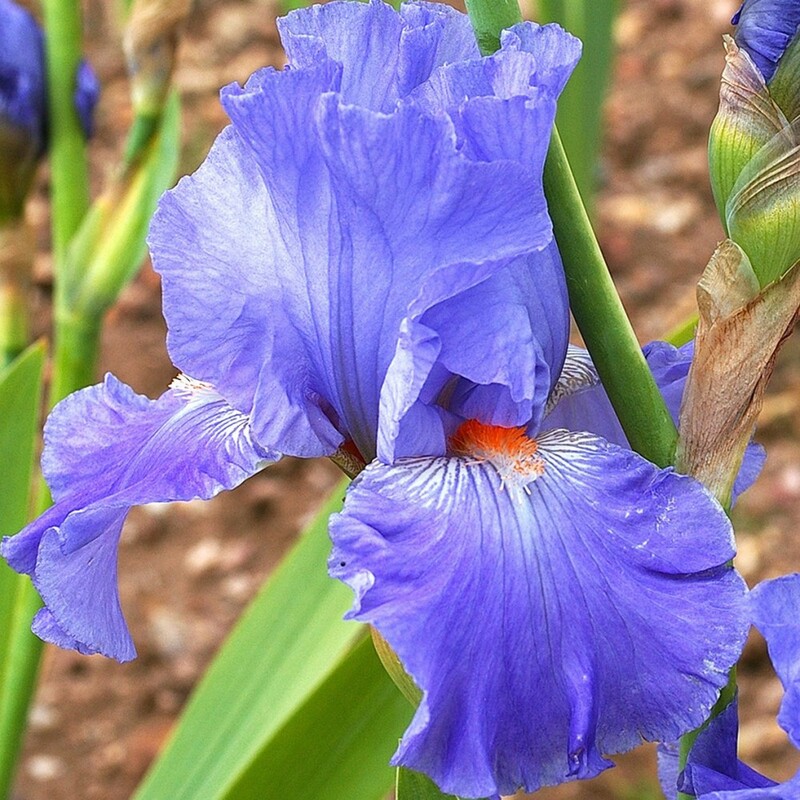 The foliage is vigorous and the upright stems carry an average of 8 to 10 buds. 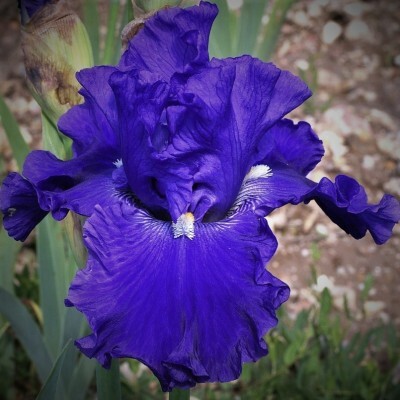 Brother of the Cayeux variety "Heure Bleue".